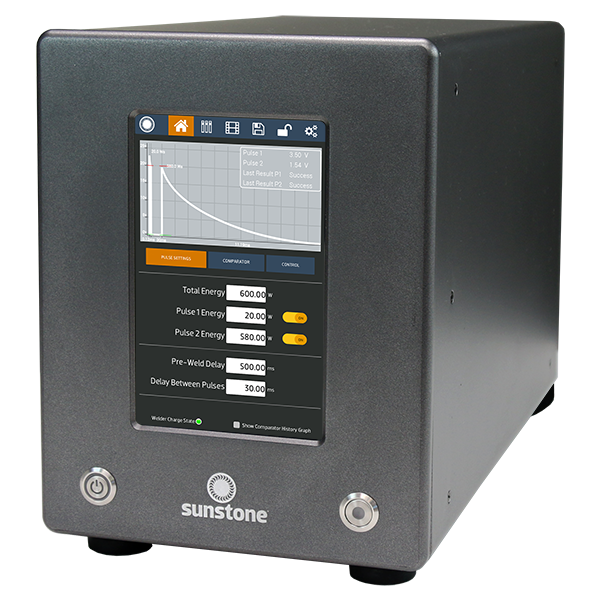 The new CDDP-A from Sunstone has full weld feedback, and weld head control. 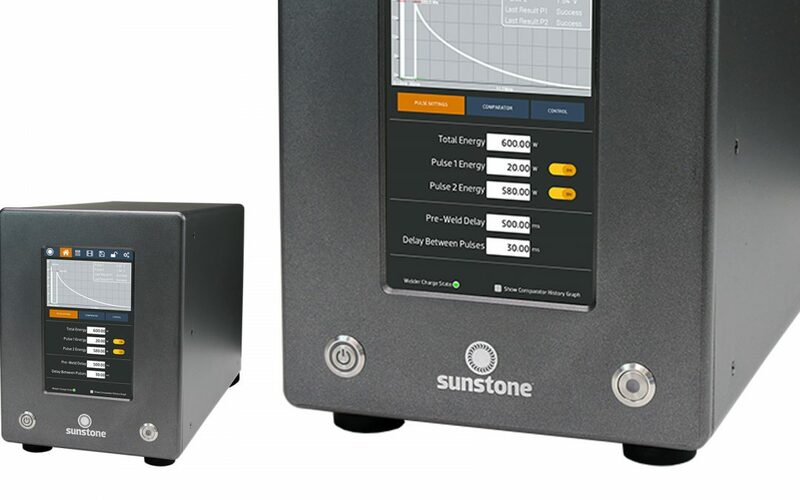 Sunstone’s advanced dual pulse CD welders offer many capabilities including weld monitoring, SPC tools, and a large capacitive touch-screen interface. The touch-screen interface provides easy access to all weld parameters. 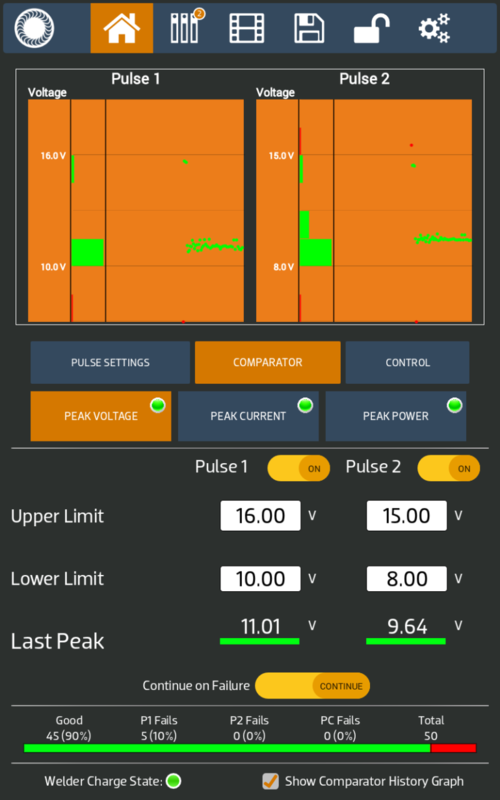 In addition, there are visuals of the weld waveform graph, weld histograms, alarms, warnings, and even on-screen documents and videos. For automated production settings, the welder has multiple PLC protocols. You can also set up multiple machines in a simplified way thanks to the clone feature. Cloning allows you to copy all your parameters& settings and easily export or import them to other machines. Capacitive Discharge (CD) resistance welders have many advantages over other welder types. Since CD welders use capacitors to store and release weld energy, the weld energy is highly repeatable and will not be affected by line voltage fluctuations. The CD process also achieves very rapid energy release, ideal for welding highly conductive metals such as copper. This quick energy release is concentrated into a small area, generating only a small heat signature or heat affected zone. Click here to view the Sunstone range | click here to view the Sunstone CDDP-A page.